As far as holistic health trends go, Ayurveda has been popping up everywhere in recent years. There are even Ayurvedic health drinks and recipes being offered in some of the trendiest restaurants. It’s no surprise that this ancient Indian system of medicine is becoming more popular. Ayurveda takes a truly holistic approach toward the entire human body and mind. It seeks to balance a person, rather than treating illnesses after they manifest. Though it can do that, too. With how popular and versatile ayurveda is, it’s tempting to just throw a bunch of Indian herbs into your cooking and hope it helps. But there’s a rich philosophy behind Ayurveda that will help you make the most of Ayurvedic herbs. Ayurvedic medicine dates back anywhere from 2,000 to 5,000 years ago. Ayurveda translates from Sanskrit to mean “the knowledge of life.” It was commonly passed down via oral tradition, and eventually written down. Because it is such an ancient form of medicine, it has some philosophical underpinnings that are helpful to know if you’re going to work with herbs from the system. Vata: The constitution of air and space. It governs movement and thus any bodily functions related to movement, like nerves, breathing, muscle movement and thinking. Pitta: The constitution of fire and water. It governs transformation, so anything in the body related to transformation, like metabolism, digestion and sensory perception. Kapha: The constitution of earth and water. It governs stability and structure, so anything to do with the building blocks of the human body, like the skeletal system, organs and the lipids that support the body. The deal with these is that each person has his or her own unique equation of what it means to be in balance between these three principles. You can take a quiz to find out what your unique balance is here. But Ayurveda is about more than just throwing some herbs into your life and calling yourself balanced. It takes the whole person and lifestyle into account when treating an imbalance. If you’re thinking of going down the road to Ayurvedic health, you may want to spend some time with this rich and detailed topic. That being said, Ayurvedic herbs are a good starting point to straighten out any imbalances you may have. 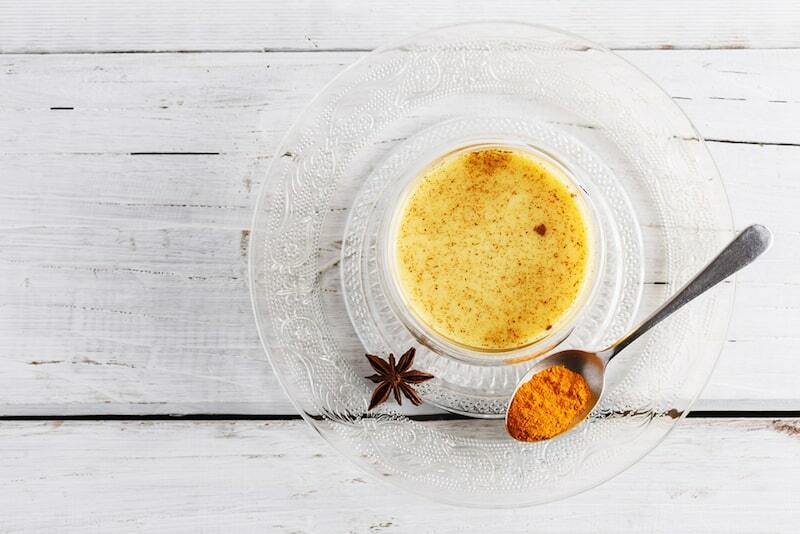 Turmeric: If you’re going to work with any Ayurvedic herb, turmeric is a good place to start. It’s called “the spice of life” and it purifies the blood, works as an anti-inflammatory, it balances out all the constitutions (and especially Pitta). It’s one of the most versatile herbs to work with. It comes in capsules, you can use it to spice up your cooking or you can make Turmeric lattes with it (turmeric mixed with almond or coconut milk). Trikatu: This is a group of spices known as the “three peppers.” It contains black pepper, Indian long pepper and ginger. They aid in digestion and help the body process nutrients more effectively. Simply use them to season food. Cumin: This herb is used to balance digestion and metabolism, so it’s good for Pitta issues. It’s said to help the body absorb nutrients, as well. Use it in general cooking. Ashwagandha: This herb is known for vitality and is good for anti-aging. It’s usually taken as a dash of the herb in a cup of nut milk. Manjistha: This herb is good for purification, so it helps inflammatory issues and helps acne. This herb comes in capsules or you can take it with nut milk. Brahmi: If you want to boost any functions related to the brain, like memory, mood or concentration, take this herb. It’s also used for balancing out high Pitta conditions. It’s usually boiled in water to make tea. Holy Basil: This herb is seen as sacred in India by many people. It’s an anti-inflammatory, can clear out the respiratory system and can help treat anxiety disorders. This also comes in a capsule or you can make it into a tea. This will help the diet freak youngsters.